The LGBT community as a whole has derived and adopted various signs, symbols and colour codes for flags from different sources. The sources can be historical, cultural, academic or a social practice from the past. These symbols were primarily used for self-identification as well as a display of unity, allegiance and support among the group. But these chosen symbols or colours were more than mere signs. Just like a country’s flag or national anthem gives its citizens a sense of integration, they gave the LGBT community a sense of belongingness. But there are many more with equally important past and importance. One of the oldest of symbols to mark the LGBT people is the pink triangle, which was originally used in the Nazi regime. 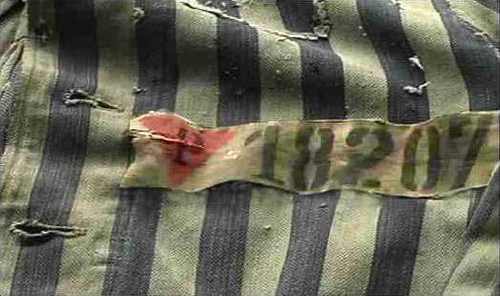 In the holocaust concentration camps, the imprisoned homosexual males were made to wear badges with pink triangles. 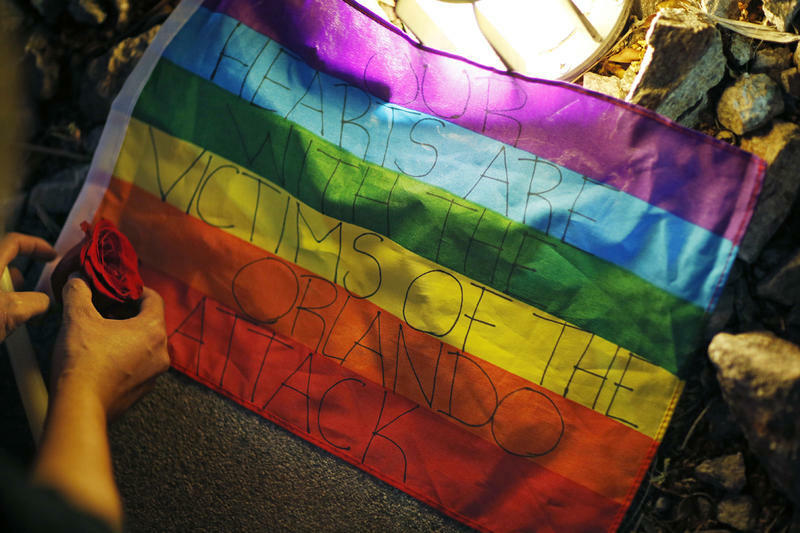 But later, the same symbol was reclaimed by the homosexual community and they turned the tables by using it to show their pride and unity in various movements. Though the pink triangles were exclusively used for gay men in the Nazi camps, some women who were tagged “asocial” because they did not conform to the ideal Nazi image of a woman, were imprisoned and labelled with a black triangle. Later on, many lesbian groups worldwide adopted this as a symbol. 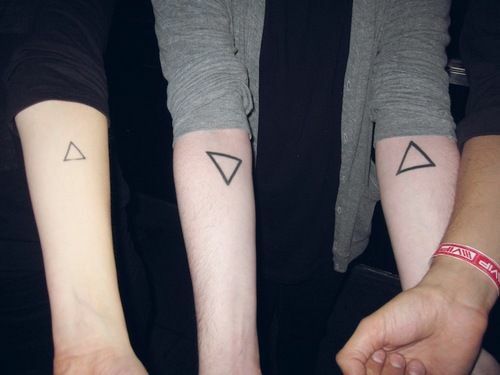 Many lesbian women have a black triangle tattooed somewhere in their body; it has become a trend. And for the worst crime of all in the Nazi Germany, that is to be a homosexual AND a Jewish, was marked with a pink triangle overlapping a yellow one, making it a hexagon star just like the religious symbol of Judaism – the Star of David. AIDS Coalition to Unleash Power (ACT-UP) adopted an inverted pink triangle to symbolise their active struggle against HIV/AIDS rather than giving in without a fight. 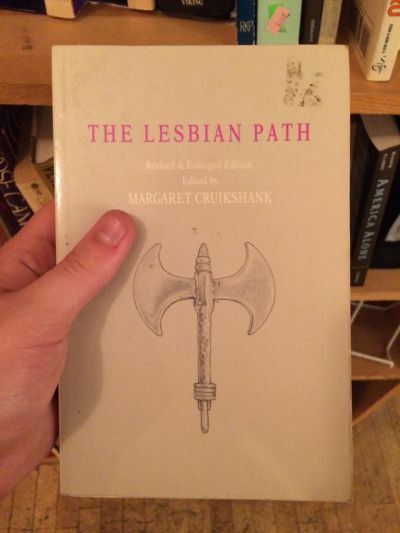 The labrys, or double-bladed battle axe, is a symbol used in modern day as a symbol of feminist strength, women power, self-sufficiency and of course, a kinship of the lesbian women around the world. It is a symbol taken from history and mythological legends. 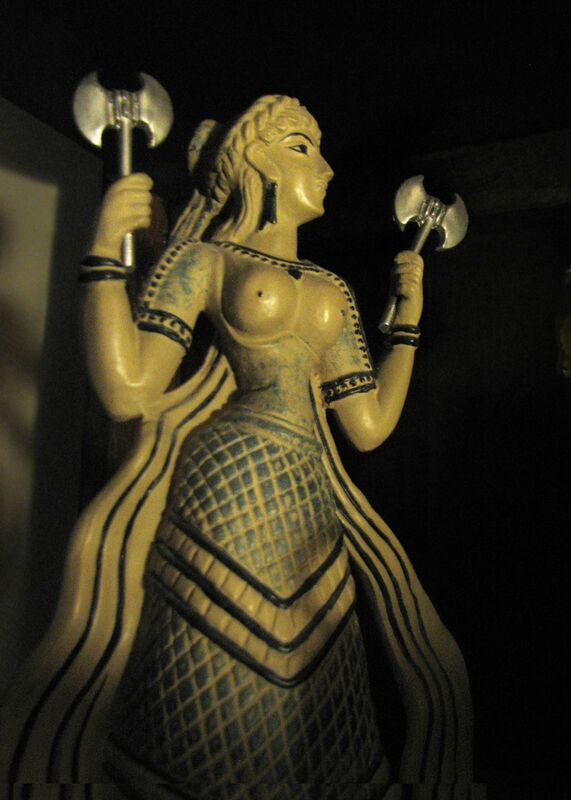 It is said to be used by the matriarchal society of ancient Minoan civilization of the Crete Islands. It also appears in ancient Greek and Roman mythologies being used by several Goddesses. One of the versions has the Amazon warriors and Goddess Diana use it too, from which legend the back- story of Wonder Woman is inspired. In 1970, the Greek letter lambda (λ) was selected by graphic designer Tom Doerr to symbolise the Gay Activists Alliance’s campaign in New York. Four years later in December, 1974, the International Gay Rights Congress in Edinburgh, Scotland, chose the same symbol to represent lesbian and gay rights and gave it the status of an international symbol. In physics and chemistry, the lambda represents “a complete exchange of energy–that moment or span of time witness to absolute activity”, and thus is used to symbolise the energy of the Gay Rights Movement. The gay rights organization Lambda Legal and the American Lambda Literary Award get their names from this popular symbol. 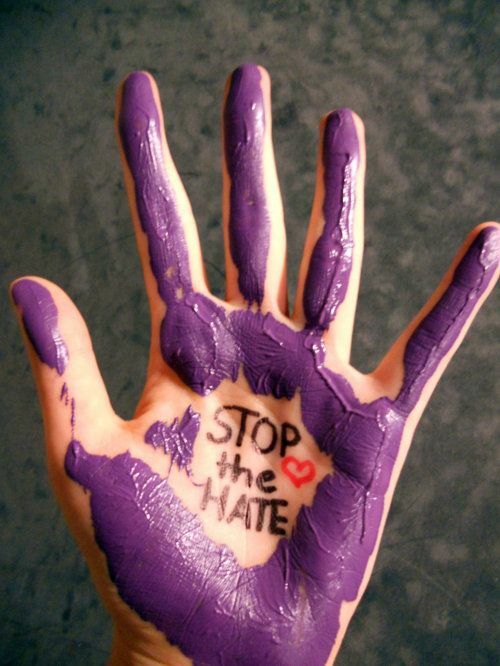 Although not as popular a symbol as the previous ones, the purple hand has a story and significance of its own. On October 31, 1969, right after the Stonewall Riots, a group of sixty members of Gay Liberation Front (GLF) and the Society for Individual Rights (SIR) gathered outside the offices of the San Francisco Examiner in protest to their homophobic editorial policies. The Examiner employees dumped bagful of printer ink on the peaceful protesters and they used the ink to scrawl pro-gay slogans and leave purple hand-prints on the walls of the building and throughout downtown San Francisco. Though beaten and arrested by police later, according to many this is one of the loudest and most visible repercussions of gay-violence. Freedom rings are aluminium rings designed by New York based jewellery designer David Spada in 1991. Each ring is in one of the colours of the rainbow flag. Symbolising happiness, pride and diversity, these rings are worn individually as finger-rings or as part of necklaces, bracelets, earrings and key chains. I have to express appreciation to you for rescuing me from this scenario. Just after looking out through the world-wide-web and meeting methods which are not helpful, I was thinking my entire life was over. Being alive minus the solutions to the difficulties you’ve fixed all through this short article is a crucial case, as well as those which might have adversely affected my career if I had not come across the website. That skills and kindness in playing with a lot of stuff was excellent. I don’t know what I would’ve done if I hadn’t come upon such a thing like this. I am able to at this moment relish my future. Thanks for your time so much for your high quality and result oriented guide. I will not hesitate to refer your blog post to anybody who requires guidance on this topic. Thanks for the suggestions you share through your blog. In addition, many young women exactly who become pregnant will not even seek to get medical insurance because they fear they couldn’t qualify. Although many states at this point require that insurers produce coverage irrespective of the pre-existing conditions. Charges on these types of guaranteed plans are usually bigger, but when thinking about the high cost of health care bills it may be any safer strategy to use to protect your financial potential.